Before I begin to try and give an answer to this difficult question, I need to make a few things clear. I am not trying to pick on Catholics here. This question was raised by a Muslim friend online (His online name is Vladek and lives in California). I believe this verse is referring to salvation. Does it mean that I cannot judge what is right or wrong? If this were the case, why has God given us the 10 commandments? I will not judge another person’s soul; God alone is in that position. I will judge another belief system to see if it lines up with the truth of scripture. I have Catholic and Muslim friends. I am always curious to listen to what they have to say. One of my Catholic friends summed up the difference between Catholics and Protestants nicely. It is quite simple. Protestants believe in salvation by faith alone through grace (Eph. 2:8-9). Catholics believe that works and faith are necessary for salvation. It is quite a difference and caused a huge split called the Reformation. This link gives us a view of a prophecy given by a Catholic Pope. when an event may be beyond the possible natural knowledge of the prophet, but may be within the range of humanknowledge and known to others who witness the occurrence, as, for instance, the result of the battle of Lepanto revealed to St. Pius V.
On the day of the Battle of Lepanto, 7 Oct., 1571, he was working with the cardinals, when, suddenly, interrupting his work opening the window and looking at the sky, he cried out, “A truce to business; our great task at present is to thank God for the victory which He has just given the Christian army”. He burst into tears when he heard of the victory, which dealt the Turkish power a blow from which it never recovered. In memory of this triumph he instituted for the first Sunday of October the feast of the Rosary, and added to the Litany of Loreto the supplication “Help of Christians“. He was hoping to put an end to the power of Islam by forming a general alliance of the Italian cities Poland, France, and all Christian Europe, and had begun negotiations for this purpose when he died of gravel, repeating “O Lord, increase my sufferings and my patience!” He left the memory of a rare virtue and an unfailing and inflexible integrity. He was beatified by Clement X in 1672, and canonized by Clement XI in 1712. Does this example make the Pope a false prophet? I don’t think it does, and I can’t find an example where a Pope could be called a false prophet. If anyone can find such an instance, please comment. There are other examples of prominent Catholics who are identified as prophets. Three examples are listed HERE. None of them are Popes as far as I can tell. I found more than a few articles, the first from a Catholic source that states that the Pope is not a prophet. Re: Is the Pope a Prophet? “When the pope speaks ex cathedra on matters of faith and morals–then he is speaking with the divine guarantee that his words will be error-free. This is rather a negative guarantee–he will speak no error–than a positive guarantee–that he will speak all truth. He is the false prophet HERE. THIS LINK is a bit outdated and mentions Joseph Aloisius Ratzinger, or Benedict XVI who was born in Germany. I found the link interesting but inconclusive. The false prophet is the pope or America HERE. It won’t be long before we know if so HERE. Here is a link on the so-called “Prophecy of the Popes.” This is a popular view among many evangelicals and I may be wrong, but I disagree with St. Malady. A rough but interesting conversation can be seen HERE. If you Google “Is the Pope a false Prophet?”, you will get many links like these. To be fair, Here is a link, complete with the 4 things you will need in the last days, that says that Pope Francis is NOT the Antichrist. So, What do I think for what it’s worth? I don’t think a good case has been made that any Pope is a false prophet. I do, however, believe that many popes have been false teachers. 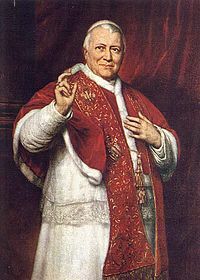 Pope Pius IX (1846–1878), during whose pontificate the doctrine of papal infallibility was dogmatically defined by the First Vatican Council. Papal infallibility is a dogma of the Catholic Church which states that, in virtue of the promise of Jesus to Peter, the Pope is preserved from the possibility of error “when, in the exercise of his office as shepherd and teacher of all Christians, in virtue of his supreme apostolic authority, he defines a doctrine concerning faith or morals to be held by the whole Church“. This is what one finds when clicking on the Counter-Reformation. The Counter-Reformation (also the Catholic Revival or Catholic Reformation) was the period of Catholic revival beginning with the Council of Trent (1545–1563) and ending at the close of the Thirty Years’ War (1648), which is sometimes considered a response to the Protestant Reformation. So, sometime in the mid-16 century Papal Infallibility was the majority position. HERE is a good source of information. 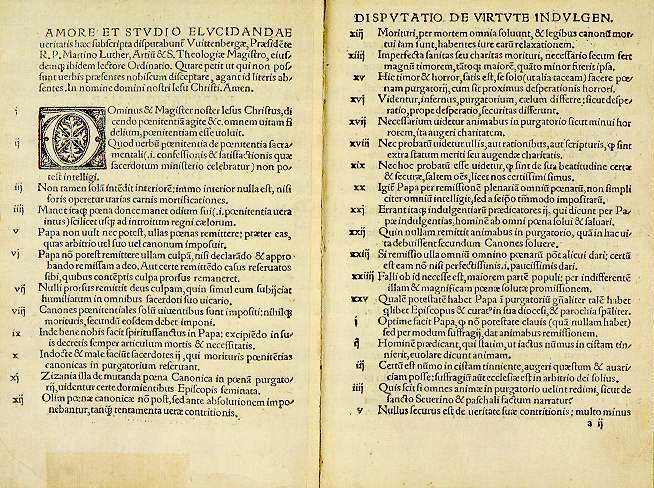 Pope Boniface VIII in the Bull Unam Sanctam of 1302 is mentioned HERE. 1. ^ “We declare, say, define, and pronounce that it is absolutely necessary for the salvation of every human creature to be subject to the Roman Pontiff”. This is in the footnotes of this LINK. I believe this is false teaching because it can be found nowhere in scripture. Therefore, false teaching had entered the Church at least as early as 1302. Clicking on the LINK above will show you a chart with more of what the Bible does and does not say. THIS LINK discusses the dangers of false teaching and Bible verses related to it. Is this verse, and verses like it, limited to the Catholic Church? It is not. There are false teachers in Protestant churches as well as in the many false religions of the world. Have I stated that no Catholics will be in heaven? That would be a huge presumption; the same as if I believed that all Protestants are saved. I believe I know Catholics whom I will see in heaven. I also think that I have met Protestants who may not be there. Again, I am in no position to make God’s judgments as stated above. This has not been an exhaustive study. One could spend their life on this question alone. I am not up to that task, but I wanted to answer my Muslim friend. He now has my opinion. 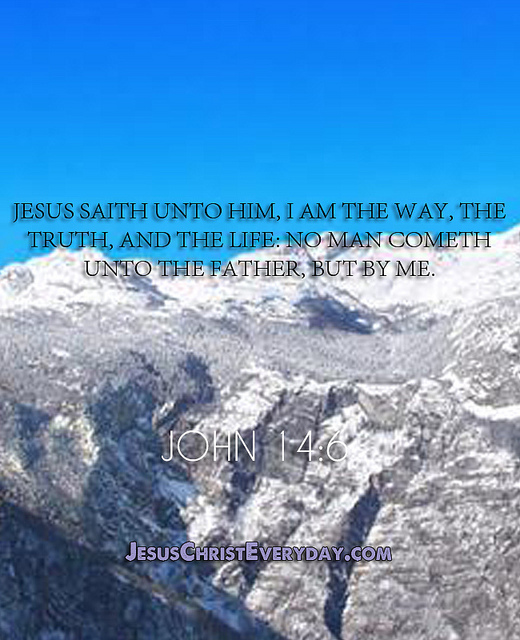 May God bless all who study His Word in an effort to discover the truth. This entry was posted on Tuesday, July 30th, 2013 at 11:22 PM and is filed under Commentary, Love of God, theology. You can follow any responses to this entry through the RSS 2.0 feed. You can leave a response, or trackback from your own site. 12 Responses to IS THE POPE A FALSE PROPHET? My dear brother Chris, what manner of stench hast thou unleashed upon us? I must say during my first reading of this enormous post with all kinds of neat stuff about the dude with the pointy hat was presented to us with the question: Is the Pope a false prophet? Short answer,yes. why? He claims to be the Vicar of Christ for openers. The Greek equivalent of the latin “vicar” is “anti” a substitute or another Christ a substitute for God. Absolutely blasphemous; his buddies with the cute little red hats claim he is anti-christ. a false prophet is one who claims to stand in the office of the Prophet which means he speaks the direct words of God as a spokesman of God without error and very accurately. I don’t think Franky qualifies. This present man is a regular Joe, but he is not the substitute for God. The most obvious problem is all the heresies brought down through the ages until one man as you stated, Martin Luther took his hammer to the door at the can of worms and said “Baloney” 95 times. This one Lollapalooza of a topic. let me share a little known fact about the theology and practice of the much loved man Pope John Paul. On may 13, 1981. a man shot Pope John Paul II. As the ambulance carried him to the hospital, the Pope kept praying, “Mary, my mother!” “Mary, my mother!” One year later, the Pope made a pilgrimage to Fatima to thank Our Lady of Fatima for saving his life and to consecrate the entire human race to her. There was a video is has since been pulled. I for one withdraw from the human race here and now! Mary is not God and neither is the pope. :—( I can say more but some dudes are at my front door with black robes and long chains with crucifixes hanging around their necks. they have a sign it says… give us the second generation Spaniard heretic hiding inside! As I used to tell my son: “we disagree.” That was when he was younger. He is a free thinker but we don’t have as many differences as we used to. And I am blessed to have a son who never disagreed in a disrespectful or disobedient manner. I have only unleashed my opinion. I believe our differences are of a substantial theological nature. But before I touch on this idea, let me first state that you have not backed up any of your statements with references (footnotes, links, etc.). These are important and your argument has less credibility when they are neglected. And now on the theological differences. There is a distinction here that is similar to your recent post about cleansing and sanctifying, although I think this is more distinctive. I will agree that a prophet speaks the direct words of God without error. A true prophet also is able to tell the future. I don’t think that this claim has been made by many of the popes. I have shared one instance where the Pope seemed correct in his prophecy. Will you give me an example of when a Pope erred on a statement of future events? And can you give a reference stating that the Pope “stands in the office of the Prophet” from a Catholic source? Until you can do these two things, I don’t think you are making a very good case that the Pope is a false prophet. Finally, I think you should be a bit more careful with your wording. I found your “stench” quote quite humorous. This was the intention of my suggested revision. Some Catholics may view these phrases less favorably. There is no question about that statement. The Pope and Mary are not mentioned in these verses. Chris you are right about my wording it is crude and rude. I apologize to you as well as any Catholics. I have a lot of evidence that I can present. Perhaps it would be best presented on my blog. Apology accepted my friend. And I think most good Catholics would accept it, too. I like the idea of presenting references on your blog. Here or there, either would be great. But there is a group of people in history for whom I have great respect. They are the Puritans. If you read their writing, especially the greatest of their theologians (Owen, Edwards) you will notice the spicy words they use in referring to Romans Catholicism. Puritans did not consider Catholics as Christians. They called them papists, and their religion the papal religion. There are many reasons for this sentiment among puritans, who were perhaps the most conservative protestant Christians of all time, with the most stringent holiness practice of any Christian group ever. Persecution was one reason. But the most important reason has to do with beliefs and practice that were not biblical. You touched on papal infallibility, which is absolutely crazy to me. If ap. Peter (1st pope?) had mistakes and doctrinal position which needed correction, why should pope Francis be perfect? Just look at recent comments by Francis on homosexuality and see how progressive he is… against biblical truth. I did take a little time to round up my sources and come to a conclusion. My effort, though minuscule compared to some, was worth it I think. I am also very respectful of the Puritans, as was the Prince of Preachers, Charles Spurgeon. His library contains the words of many Puritans. History of redemption, on a plan entirely original: exhibitin the gradual discovery and accomplishment of the Divine purposes in the salvatio of man; including a comprehensive view of church history, & the fulfillment of scripture prophecies… with the life and experience of the author. Bungay. Morris. 1821. Selections fr. the unpublished writings. Ed. fr. the original mss., with facsimilies & an introduction, by Rev. A.B. Grosart. n.p. 1865.M 42 MATHER, Cotton. 1663-1728. Essays to do good; addressed to all Christians, whether in public or private capacities. Lond. Dennett. 1807. Student & preacher; or, directions for a candidate of the ministry… Lond. Hindmarsh. 1789. M 42 MATHER, Increase. 1639-1723. Remarkable providences illustrative of the earlier days of American colonisation. Lond. Smith. 1856. Neither I, nor you, nor Pope Francis is perfect. We have all sinned and fall short of the glory of God. I always appreciate your contributions. Peace be with you all. I will comment more later, very late now. 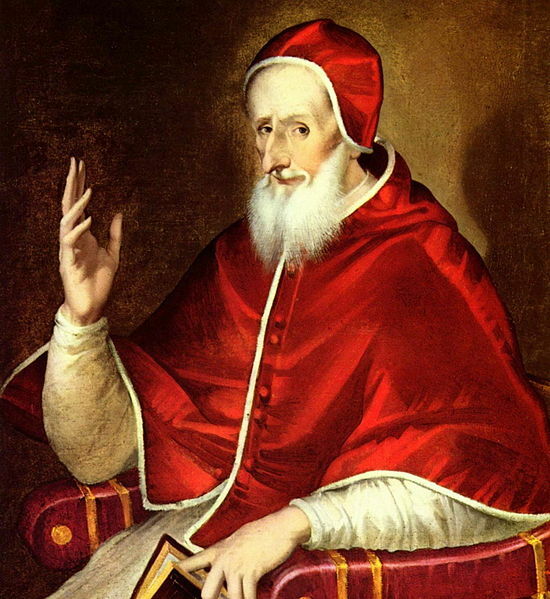 For now, no, I would not say Pius V was a prophet, false or otherwise, he was merely doing what believers think refer to as “calling those things that be not as though they were.” He was not speaking ex cathedra, but merely speaking in faith as to what he believed God wanted. Just being a believer. Anyway, God bless and catch ya later. Off of the cuff, I would agree with you on Pope Pius V. So glad you have commented. There needs to be a Catholic in this discussion (at least IMO). I look forward to any comments you may have. Wow, many issues, some very intimidating, have been raised in these posts. I feel very vulnerable here, so please be charitable. Let me say first that I agree there have been bad some pretty bad apples in the Church at all levels from its beginning to the present. Not to make excuses for blatant sin, but essentially the Church universal is a hospital made up of people who collectively, have constant need of forgiveness, yes? Which beings me to the point- to address the “False Prophet” theme of this post: I think problems arise from misunderstandings about who the Church considers a “Prophet”. The outright untrustworthiness of the Catholic Church’s mission from the get-go is astounding, namely that more than likely the Church is [not really] “both the means and the goal of God’s plan; prefigured in creation, prepared for in the Old Covenant, founded by the words and actions of Jesus Christ, fulfilled by his redeeming Cross and his Resurrection.” In all actuality, the Church has maligned mankind, deceived intentionally and is [not really] “manifested as the mystery of salvation by the outpouring of the Holy Spirit.” [Catechism, no. 778]. Opposing views complicate reasonable discussions. Possible? If so, then please tell me where the Church is that 1 Tim3:15 describes. And don’t bother with the 40,000 or so denominations I can choose with their lack unity and a cohesive teaching authority. This scenario is not compatible with that verse and God is not the author of confusion. *And please know, Chris. I am not just tooting my own horn- we are living in very immoral, dangerous times of which the culture of secularism, relativism and materialism have a choke hold. Where is man to turn for security? He is presently laughing & scoffing at religion – your churches as well. We can keep swallowing camels and straining at knats, if we like. So. If you fellow bloggers are still with me, I believe most if not all negative conceptions are built on the view that the church is a self-serving, lying, insidious demon-possessed entity that intentionally is out to spread onerous, disguised “antichrist” proclamations and lead men astray. No mention here of Popes being prophets or expectations of such to be prophets. They are just men of faith, warts and all, with mind bending, faith testing responsibilities, one of which is to be a visible advocate for the existence of Christianity, the spread of the Gospel of Jesus Christ and freedom of religion for people of faith worldwide. That is just to name a few. Ponder implications without such a person. forgive me for not including the source for the “jurisdiction and responsibilities for the Pope.” I can get those if you like. Hi Kassey. I’m so glad you commented. I know that we have talked about this on more than one occasion. No mention here of Popes being prophets or expectations of such to be prophets. It appears that we agree on the definition of the word “Prophet,” and that the Pope is not a false one. I know that you have checked your sources well. No need to get those unless a commenter requests them, and then it is up to you whether or not you wish to provide them. We do have our differences on the position of the Pope. I know I have communicated them in my post. I, too, see myself as a bit of a philosopher. I would hesitate to say that I was a very good one. Yes, this is an easy one. All men have sinned and fallen short of the glory of God. You are aware that I don’t feel it necessary to confess to a priest, but that I can go straight to God for forgiveness. The Lord’s prayer is one of my favorites. I think your question here is one you have the answer to already. We turn to the one God in three persons, the blessed Trinity. On this we agree. There is no surprise in any of my reply here, I think. I hope I have been charitable as you have asked. And thank you for being one of the most charitable Catholics I know. Thank you for your kind words. I hope you have a blessed day, also.